October 12, 2018 7:00 pm. Stephen Baster will be reunited with Invincible Star at Randwick in her lead-up to The Everest. Melbourne jockey Stephen Baster is set to ride Invincible Star in the The Everest and will reunite with the sprinter in her final lead-up to the $13 million race at Randwick. 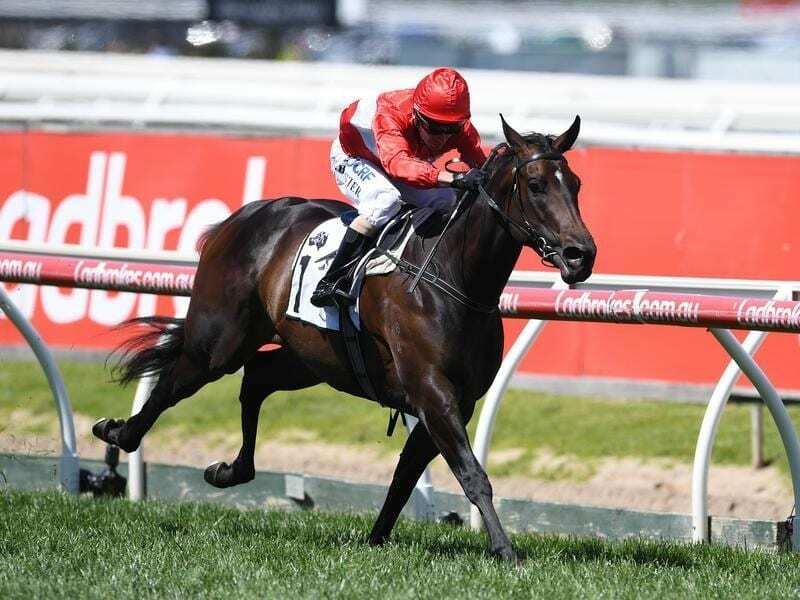 Baster rode Invincible Star to a dominant win in a Group Three race at Caulfield last spring before partnering her in the Group One Coolmore Stud Stakes at Flemington where she was run down in the final stride by Merchant Navy. The Gai Waterhouse and Adrian Bott-trained Invincible Star has been ridden by James McDonald in her two starts this preparation for a third in the Concorde Stakes and a second in The Shorts. Baster takes over in Saturday’s Premiere Stakes (1200m) at Randwick ahead of The Everest (1200m) on October 13. “Obviously he had an association with her last preparation and he gets on well with her and knows her well,” Bott told RSN927. “He’s coming up to ride her in the Premiere and he’ll be ready to take the reins in The Everest. Invincible Star was narrowly beaten by Ball Of Muscle in The Shorts but Bott thought it was an excellent run under the circumstances after the mare stepped away slowly at the start. He said that run would have brought Invincible Star on again and so too would Saturday’s Premiere Stakes. “And she’ll be ready to peak for The Everest,” he said. The eight nominations for the Premiere include Redzel, Trapeze Artist, Santa Ana Lane, In Her Time, Shoals and Invincible Star who have been confirmed for slots in The Everest. “It’s a really exciting clash with all the horses that have nominated for the race, so it will tell you exactly where you are at,” Bott said.